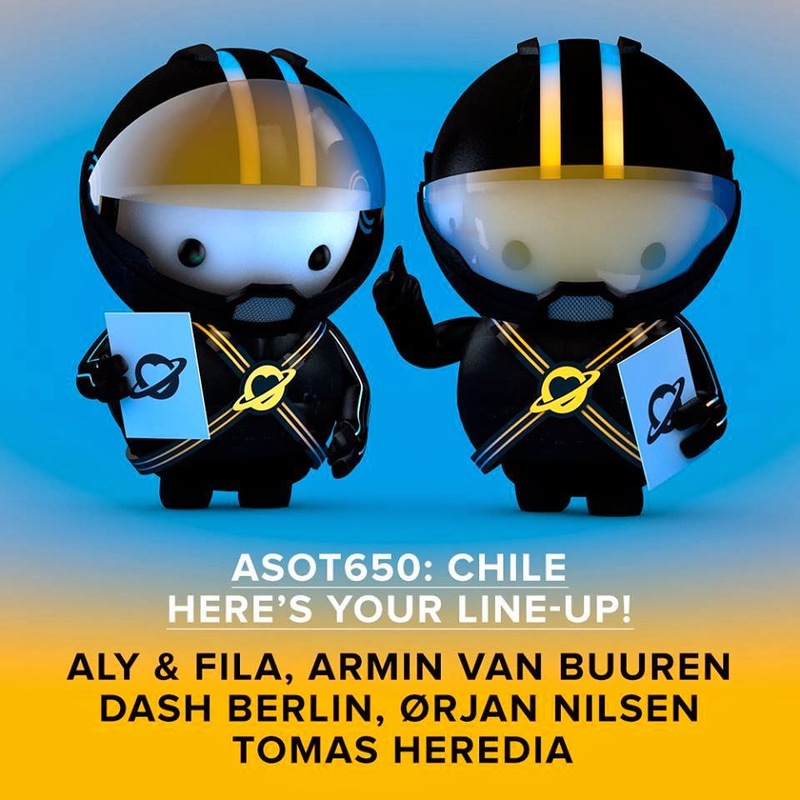 OfficialDjFreire: ASOT650 Chile – here’s your line-up! The nights are long and hot in the city of Santiago, Chile. And they’re about to get even hotter – with ASOT 650 planned on February 28th 2014! At the Espacio Broadway, people from all across the country, all across the globe even, will gather to celebrate the 650th episode of their favourite radio show. And more so, celebrate music! And they’re not alone in doing that. To get you all warmed up, Armin thought the time was ripe to announce the official line-up! So here it is! Serving you Aly & Fila, Dash Berlin, Orjan Nilsen, Tomas Heredia and of course Armin van Buuren, this will be a night to remember for a long time to come. Don’t miss this! Get your tickets now, they’re selling fast!